Plot Summary: Zeus’s daughter Athena has been captured by Zeff, so Zeus raises the player from the dead and gives the entirety of the game’s exposition: “I COMMAND YOU TO RISE FROM YOUR GRAVE AND RESCUE MY DAUGHTER”. Then the player sets out, using his beast powers (that maybe he had from before? Or that Zeus gave him?) to chase Zeff, eventually besting him, freeing Athena, who had been turned into a bird for some reason. Then they live happily ever after. Why does he still have a wolf head? Zeus is never heard from again, by the way. Did we abscond with his daughter? Or is she the reward for her own rescue? Savor the irony, by the way, of Athena the Badass Goddess of Wisdom and War, being rendered as both a damsel in distress and prize-woman for the player. One wonders why the game is allegedly themed in ancient Greece, actually. Zeus and Athena are the only Greek-themed elements. The player with his beast powers, the villain Neff, and all the enemies are more generic fantasy. Gameplay Summary: There are 5 levels, each with the same structure. You start out as a buff dude. You can kick, punch, crouch and punch, and as I found out halfway through the game, crouch kick vertically upwards (to kill the goddamn annoying flying imps). Enemies approach from the sides of the screen, or fall from the sky for no reason. Enemies are all pretty slow and wimpy, and pose a threat by coming at you either in groups, or at an angle that’s awkward to defend against. Periodically, a group of special enemies will appear. They’re two-headed wolves, I guess, but they reminded me of the red wattle pigs that my mother raises. So I called them pig-wolves. One of the pig-wolves is blue, and when you kill it, a little lightning ball comes out, and if you get it, a voice (Zeus? The player?) proclaims, “POWER UP”. And then you do. First, your shirt pops off from the growth of your muscles. If you get a second one, then you become a hulking monstrosity of muscle. And when you get the third one, you become the presumably titular altered beast. Wolf: Shoots fireballs that look like footballs and can zoom across the screen. Dragon: Flies, shoots lightning bolts, and can surround itself with a lightning shield. Bear: Turns enemies to stone, and does a Sonic-like screwball jump. Tiger: Can shoot an oscillating orb, and zoom up and down the screen. Golden Wolf: As normal wolf, but the fireballs look less like footballs. Each of the beasts totally demolishes the regular enemies. So once you’ve achieved beast mode, you wail on the mobs for a bit until you face the level boss, who you need to beat to progress to the next level. Interestingly, you can’t actually face the boss until you’re a beast, so each level is a “mob beat em up” stage in which you try to kill 3 pig-wolves, but if you miss one or more of them, then Neff shows up and stands around with lightning coming out of him, and then just leaves. The process repeats until you kill enough blue pig-wolves. All five levels are basically the same, except the third level, which has pits that kill you. 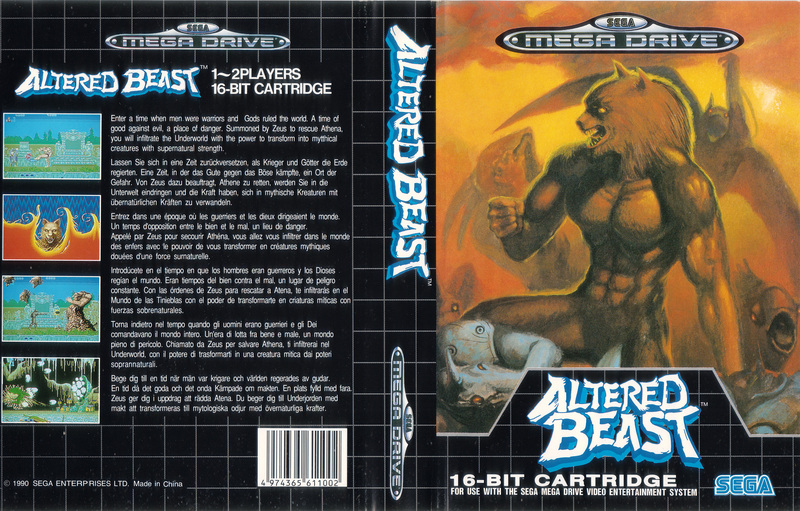 Play Summary: Altered Beast was originally an arcade game, and boy does it show! People wring their hands these days about the free-to-play model and the effect it has on games, but nothing could be worse than the pay-per-game model of arcade games. The incentive for the game creator is to make the game as fun as possible but as short as possible. 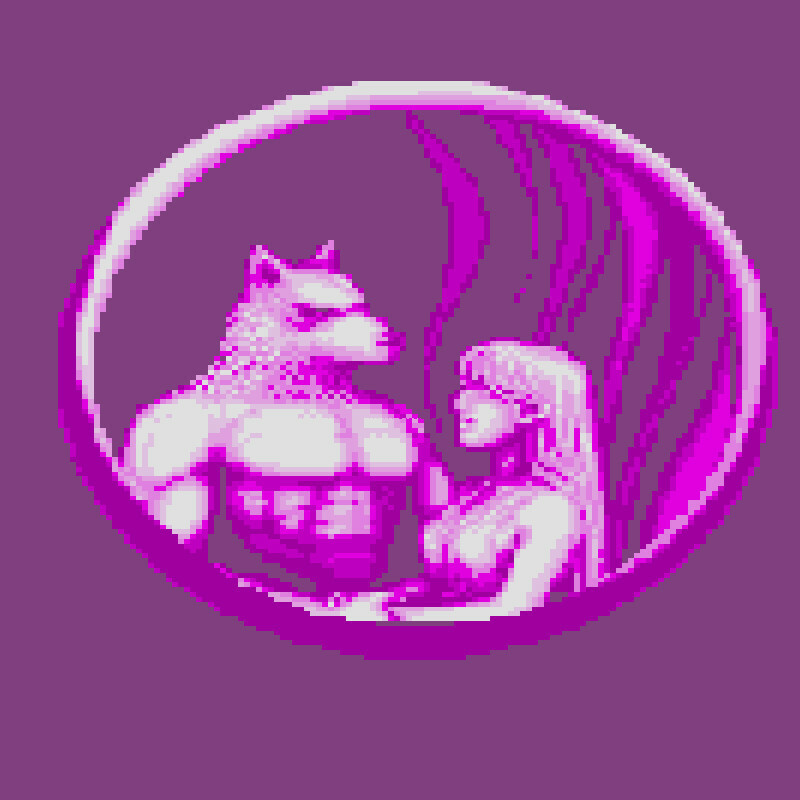 Altered Beast fits that mold perfectly. It is a lot of fun, but extremely difficult in the least fair ways possible. The game starts by giving you 2 extra lives and 3 health bars. You can’t ever gain life or extra lives, and you don’t even heal between stages. So, good luck getting through all 5 levels with those meager resources. It’s like a roguelike with no procedural generation, or any other roguelike feature. The only way to beat the game is with a nearly flawless playthrough, and I got frustrated after restarting the 3rd or 4th time. So I used a cheat wherein you can start at the beginning of the stage you died on, so I didn’t have to constantly replay it over and over again. If you remove the insane difficulty, it’s actually a pretty thin game (which is forgivable for a 1988 title). The levels themselves aren’t too bad. The controls aren’t that responsive, and so you can occasionally get overwhelmed unfairly. Oh and the invincibility frame after being hit is razor-thin, so you absolutely can get stun-locked to death (fun!). The levels have a weird pace though. As a muscle-bound human, they’re challenging but not that difficult. Once you hit animal form though, they’re a total cakewalk. So you punch for a little bit, and then just annihilate everything until you hit the boss. The bosses are all of the “memorize their attack pattern” variety, unfortunately. You go in, see what they do, die a few times, learn to dodge their attacks, and then hit them until they’re dead. The music accelerates and they wobble around as they die. They’re all mechanically uninspired, but not too tricky. Except for the final boss, Neff in rhino form(? ), who is impossible and sadistic. He has two moves. If the player is out of melee range, then he’ll charge at you. If the player is within melee range, then he’ll do this kick punch combo that will very easily stun lock you until you are dead. So the pattern to beat him his to wait until he charges, do a high jump, zoom across the screen, land and spin around, shoot a fireball/football, and then quickly repeat because he’s already charging at you again. If you miss the timing on any of these steps, then he stun-locks you to death. It’s absolutely awful, throw-the-controller-across-the-room ragequit difficult, yet so cheap and unfair that you feel no real sense of accomplishment for beating him. It was never about Athena, Neff. I killed you because I hate you and your stupid kick punch combo. Observations and Takeaways: I learned a few things from playing Altered Beast. The most obvious lesson is that balance is hard. You can’t take a balanced beat ’em up and add the totally overpowered beast mode and expect it to still work. So the player starts out weak relative to the enemies, then becomes overpowered, which is temporarily fun. But then to balance that, you fight a boss, who is vastly more powerful than you in beast form. So it’s this weird treadmill of power. When I was a kid, turning into a wolf or bear or whatever was totally rad. But playing this now, for only a few hours even, and the thrill wanes considerably more quickly. I do give the game credit for atmosphere though. The art and sound direction are phenomenal, and really sell the whole dark fantasy “journey into the underworld” theme. With only a modicum of writing, voice work and character design, the game tells a whole epic story. The whole game has this craziness that is really quite charming. The enemies, the premise, the bosses- none of it makes any sense. And yet there’s something really disarming about it. It’s not the fabricated zaniness of intentional viral craziness like Sharknado, but rather the earnest craziness of creators who thought this all made sense. The game doesn’t present that head throwing guy as a joke. It asks the player, “Take this seriously, zombie man with beast powers. Avoid the screaming heads.” How can you not fall just a little bit in love with that? Next Time: The next in the collection is Comix Zone, a graphically impressive beat em up wherein a strangely muscular writer gets sucked into his own comic and has to punch his way out. I’m beginning to sense that “muscular dudes punching” was a recurring artistic motif in this era.